Dr.Malpani's Blog: IVF overtesting - what IVF patients need to know to protect themselves ! IVF overtesting - what IVF patients need to know to protect themselves ! I see lots of infertile couples who had lots of expensive, painful (and unnecessary ! ) tests performed. When they go to an IVF clinic, the doctor gives them a long list of tests which they have to do. This is a checklist – which is followed mindlessly for all patients, because this is the clinic protocol/ policy ! 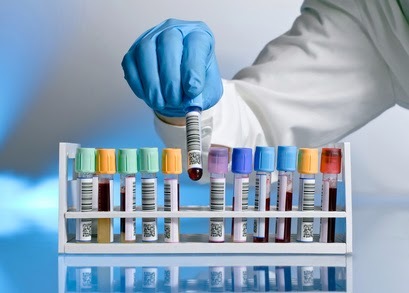 Most of these tests provide very little useful clinic information , and when I ask patients why they did the tests, the standard answer is – Because my doctor ( or more typically, his assistant) told me to do so . When I tell them that this is not a good answer and that they need to be better informed about their medical tests and treatments, they look at me with a blank, uncomprehending stare. Isn’t the doctor the expert ? Aren’t patients supposed to do whatever the doctor tells them to ? How can I challenge his authority ? Won’t he get angry and upset if I ask questions ? After all, doesn't he know far more than what I do ? Does it make any sense that I cross-examine him ? Won’t he do what’s right for me ? Isn’t he my doctor after all ? In a perfect world , patients would really not need to ask any questions at all, and they could just blindly do whatever their doctor told them to. However, the bitter truth is that life is complex , and not all doctors have the patient’s best interests at heart. They will often order tests which have not proven their value, because they are additional extraneous commercial considerations which come into play in real life. While we may bemoan this sad state of affairs, we need to accept this reality , and patients need to think about what they can do to protect themselves from overtesting and overtreatment . The most important question every patient should ask when the doctor orders a test is simple - How will test result change my treatment ? Often, doctors just provide a blanket ( and meaningless) justification for their test panels, by saying – This will help us to find out what the problem is. While this maybe a logical answer, on deeper thought, it makes little sense. Unless that additional information translates into a better clinical outcome for you, the doctor is not justified in ordering the test. After all, the purpose of an IVF treatment cycle is to achieve a pregnancy m and not to get more information . There is a laundry list of tests which IVF clinics routinely order – and in the USA, these tests are usually at least twice as long ( and four times more expensive !) as compared to IVF clinics in other parts of the world – many of which have a much better pregnancy rate as compared to the US clinics. More does not mean better, but patients are often fooled into thinking that a doctor who orders lots of tests is much more thorough , analytical and detail oriented ! A list of tests which are “routinely” done for all patients should actually raise a red flag. Ideally, testing should be tailored to your particular needs . The other question you need to ask is equally important - is it possible to get this information by doing noninvasive , less-expensive tests ? Thus, it is important to evaluate the uterine cavity prior to doing IVF. This is why a lot of doctors do hysteroscopy routinely for all their IVF patients. While it's true that hysteroscopy provides valuable information about whether the cavity is normal or not, it's also true that the vast majority of pre-IVF routine hysteroscopy surgery reveals a completely normal uterus. This means that the patient has been subjected to an unnecessary surgical procedure . The doctor could have found out the cavity is normal simply by doing a vaginal ultrasound scan – and this is often more useful, because it lets us check if the endometrium grows well and is functioning properly. While hysteroscopy maybe a “minor” procedure, it’s still not justifiable to subject all IVF patients to this. It should be reserved only for the small minority of patients who have an abnormality on their vaginal ultrasound scan results. Unfortunately, it takes time and trouble to tailor treatment protocols and individualise these, which is why most clinics prefer following a one-size fits all policy, because it improves their efficiency – and their profitability ! If your doctor refuses to answer your questions, this should be a considered to be a red flag. A good doctor will treat his patient as a partner, and will try to empower them with Information Therapy, so they have realistic expectations of their IVF treatment. They know that working together with the patient maximises the chances of IVF success ! Need to find an IVF doctor who is happy to talk to you ? Please send me your medical details by filling in the form at www.drmalpani.com/malpaniform.htm so that I can guide you better !